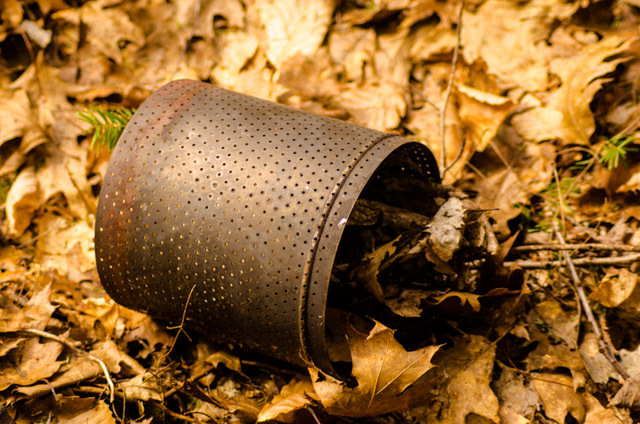 Our many patrols through the backwoods reveal past histories, as Stephen Jay Gould would say, littered with “curious parts.” While his subject was evolutionary anatomy, I continually find pieces from an extensive farming community hidden away in the forest that has sprouted up since. 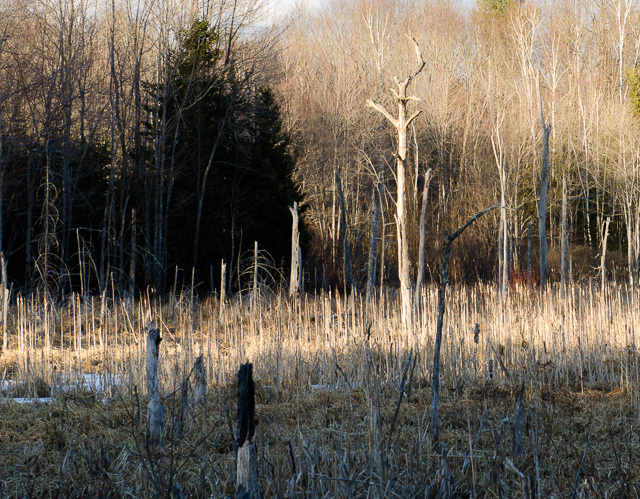 After a mid-forties temperature day, the sun sets on the beaver bog. 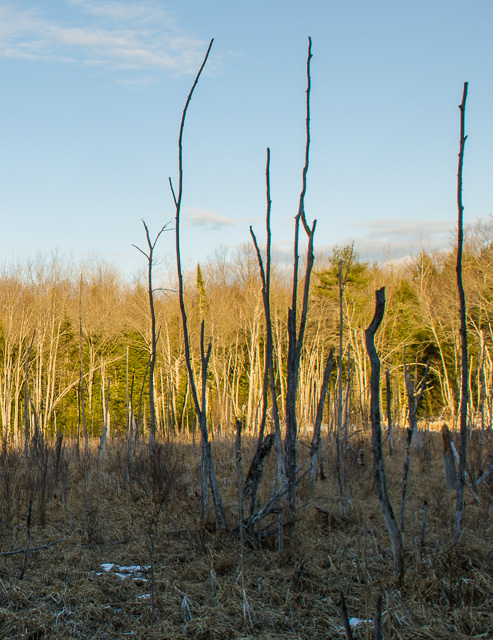 It is maple-sugar season: cold nights and warmer days. Into the second week of spring in the north. The sun has been more noticeable and the temperatures are warming. It is the inbetween time at the bog.